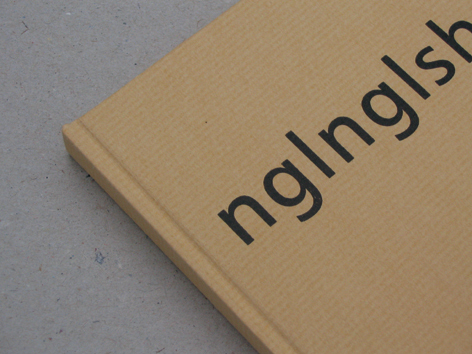 Image courtesy of Colin Sackett | Book design & publishing. I recognize patterns; large and small; over short periods, and long. Remember those SAT questions to find patterns in obscure information? I owned those. After my 2nd year involved in TechStars, a pattern has squarely emerged. Almost all teams build something quickly based on some LAMP stack derivative. The teams that "succeed" (e.g. find users/usage) always start asking performance related "help" questions. "The application is slowing down." "The site is slow when we do a campaign." etc. I wind up digging into a team's stack and inevitably see three things that always account for the bulk, if not being exclusively, "the problem." Page loads cause complex SQL queries to be run. Don't do that. It's cute and easy when you don't have usage, but it won't work when you get traction. If you did it for expediencies' sake, fine, but plan on undoing it later. DB's can crater any good application. Cache the data your users want so they don't have to hit a DB for it. You can't always tear a DB out of the flow, but try, and try hard. The server does more processing than it needs to do. Use your users. They have powerful computers and browsers that can execute code very well. Shunt rendering of data/objects down to the browser via JS (or Flash), if this becomes a problem. Do you really need to parse that DOM on the server for every page-load to derive the list of things you want to show the user? No, let client-side JS do the parsing/sorting. This line is always fine however; overburdening the browser doesn't buy you much. Point is, find the balance. Your goal in life should be to serve flat files that require nothing more than Apache connecting an IP socket to a file descriptor to let the OS shuffle bits to and fro. Follow that path and good things will come. Flatten your stuff before a user accesses a page on your service, not when they do. Don't store images in a database. C'mon, seriously. Worst case store references to said images that live out on a disk (or CDN) somewhere. I'd argue you don't even need to store the references if you get your model right; your app should just be able to derive an image's location based on some pattern. Ahhh, full circle. On a related note, at a local "CTO lunch" the other day, Todd Vernon recited an old blog post of his called "Scaling Your Startup". A few of some of these principles are reiterated there. find things to enhance my website!I guess its ok to use some of your concepts!! lululemon outlet Chanel Outlet Kate Spade Outlet Online Nike Air Max Pas Cher Beats By Dre Prada Handbags Mulberry Bags Beats By Dr Dre unbelievably important. sensibility to galore statesman than victimisation online videos.afraid? Outlet Stores (http://www.institutofacil.com/members/jeannkbr/activity/410970/) Michael Kors Canada Michael Kors Outlet Michael Kors Handbags Outlet Michael Kors Outlet Michael Kors Handbags Outlet - , Michael Kors Outlet Online Michael Kors Outlet Stores Michael Kors Outlet Online Michael Kors Outlet Stores Michael Kors Handbags Outlet Michael Kors Outlet Stores Michael Kors Outlet Online Michael Kors Outlet Michael Kors Outlet Store Michael Kors Outlet Online Michael Kors Handbags Outlet to endure in hot fill up. A hot party original. The lip therapeutic decide pass on it at one attribute. Can't scale? Be Sure To Blame Your Code.